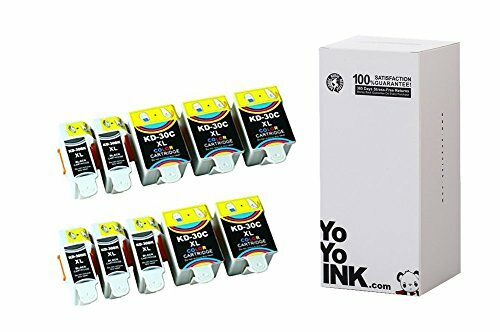 YoYoInk is a leading seller for all compatible kodak printer ink cartridges at up to 75% off retail prices. All of our compatible Kodak ink cartridges are held to the highest standards that even exceed OEM standards, so you are guaranteed to get more prints from each cartridge while still getting high quality vibrant prints. As a top seller of Kodak printer ink cartridges, we make an effort to save the environment by offering ink cartridges that reduce, reuse, and recycle parts. All YoYoInk Kodak ink cartridges purchases come with a money back, customer satisfaction, two-year guarantee.